Flying to Utah from Maui, I left Saturday after closing the Lahaina bike shop and arrived into Salt Lake on Sunday mid-morning. Being West Maui Cycles is a Specialized bike dealer, it was enlightening to tour the new 250,000 square foot Specialized distribution warehouse to see where some of the Specialized bike gear and merchandise comes from prior to arriving at the bike shop in West Maui. Monday, along with more than 500 Specialized bike dealers, we gathered to learn about the latest 2013 Specialized bicycle products and gear. Over 200 product specialists were on hand to demonstrate the latest bikes and gear while answering questions and discussing bike technology with the dealers. Monday featured the latest Specialized bicycle products for women and kids in the morning followed up with all the details about the 2013 Specialized performance mountain bikes the dealers would be riding on Tuesday morning. 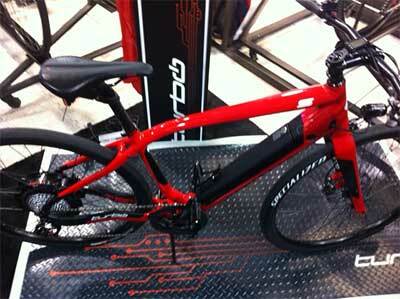 The Specialialized Turbo ebike is a Maui electric bike rental candidate for 2014. Tuesday morning, the famed Snowbird bike trails were ours to experience riding the 2013 Specialized performance mountain bikes! Though my mountain bike riding was limited due to my lingering broken fingers suffered riding the mountain bike trails in West Maui last month, it was a great experience to gain knowledge of the new Specialized mountain bikes. Witnessing the auto-sag equipped 2013 Specialized Pro Camber Carbon 29’er and Epic 29’ers burning down the bike trails provided me a good sense why the top world cup mountain bike riders and xterra cross riders are riding Specialized bikes! Specialized bike mechanics were on hand to keep the dealer inflicted rider damages to a minimum. One of the cool new bikes Specialized had on hand was the new Specialized Turbo electric bike. We featured this new electric bike in an earlier electric bike blog article just after Specialized released the bike in Europe earlier this year. Unfortunately, the US market won’t get to see this exciting new electric bike until 2014. Like the rest of you waiting on the ebike, with a top speed of 28 miles per hour, we can’t wait to make this bike available as a Maui electric bike rental! Do you want one? Wouldn’t you like to buzz along the Pali at speeds up to 28 mph without burning gas while commuting on your daily oceanfront bike ride from Lahaina to Maalea harbor? It could also be a great addition for bike tours on Maui. A Specialized Crux cross bike. Check them out at the 2013 XTerra World Championship on Maui in October. Weds, the final day of the 2013 Specialized bicycle dealer launch event, the new Specialized Crux cross racing bikes were set up for the dealers to try their skill maneuvering Snowbird’s mtb trails in the morning. The bike equipment demo tents and parking lots around Snowbird were well equipped with the latest in gear for performance road bikes. Specialized made a few of their new Roubaix SL4 bicycles and several other 2013 performance road bikes available for the bike dealers to take demo rides on. The afternoon finished up the week of bicycle events with a series of fun cyclocross races. Specialized dealers and company staff competed for the right to claim the Crossbird 2013 championship.